Stretch marks are silver colored marks on the skin that occur due to tearing of dermis layer of skin. There are a number of causes behind their appearance including pregnancy, hormonal changes, puberty, weight gain etc. Their occurrence is more common in women and mostly they appear on the abdomen, breasts, thighs and buttocks. They are not a serious condition but as they are unsightly and unappealing, therefore lots of people want to get rid of them. There are numerous procedures for their treatment but five among them are given below. The first option for the remedy of stretch marks is natural home remedies. Most of the women who don’t want to go for artificial remedies rely on natural remedies. Use of coconut butter, potato juice, aloe Vera, lemon juice and olive oil are most commonly used for this purpose. If you want more effective and quick remedy, you can go for the cosmetic procedures. The second convenient option for the removal of stretch marks is the use of over the counter creams and lotions available for this purpose. These products are effective for lightening of stretch marks but before applying the one, you must consult an experienced dermatologist. Laser treatment is useful for a number of skin problems and is also effective for the removal of stretch marks. Laser therapy for stretch marks will require several sessions but the results will be very effective for mild to moderate stretch marks. Laser repairs the damaged skin and also improves the production of collagen in the skin that keeps the skin smoother and healthy. Dermabrasion is also an effective cosmetic treatment and is suitable for removal of stretch marks also. Like laser therapy, it also requires multiple sessions to give optimal results. In this procedure, damaged layer of skin is removed through abrader and the new healthy skin appears. Besides this, it also stimulates the production of new skin cells and collagen. 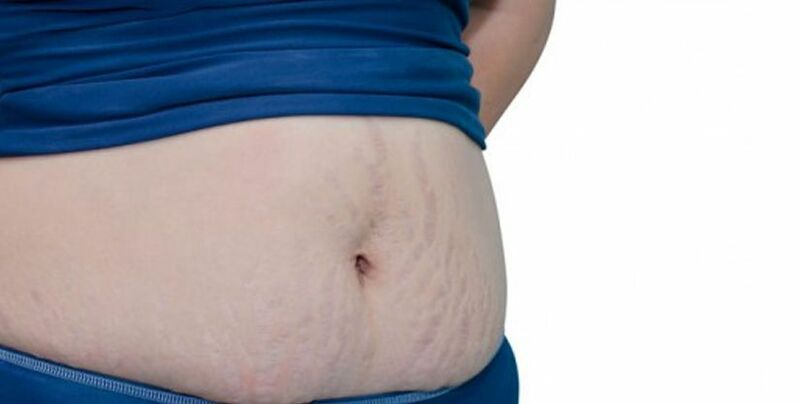 Tummy tuck surgery is the surgical procedure for removal of stretch marks and is very effective for women who have got stretch marks on their abdomen as a result of pregnancy. Tummy tuck surgery is effective after pregnancy in two ways – to flatten the stomach and for removal of stretch marks. During this procedure excess skin and fat from tummy area is removed that also removes the stretch marks.